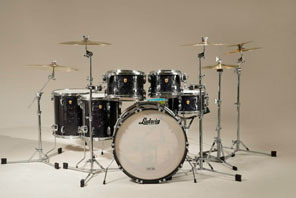 The Ludwig Legacy Mahogany Kit, Studio 22 configuration in Jumbo Black Pearl. 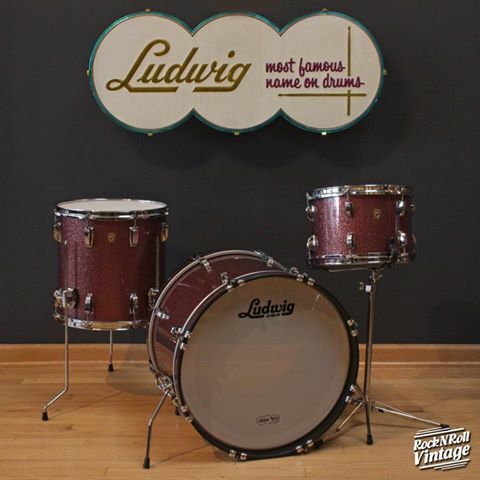 The Ludwig Legacy Mahogany drums bring back that classic 50's tone that made Ludwig famous. Constructed of mahogany / poplar / mahogany ply shells, maple reinforcement rings and rounded edges provide unbridled tonal purity. 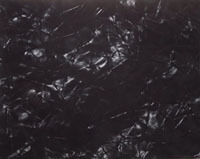 Colors include Satin Mahogany, Jumbo Black Pearl, Jumbo White Pearl, Vintage Burgundy Sparkle, Vintage Nickel and Vintage Onyx. Please call or email for additional information on current sizes and configurations. 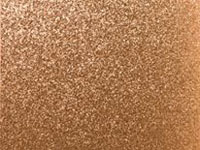 Contact us for a "best price" Legacy Mahogany price quote. Ludwig has over a century of drum-making and is considered a legacy of American craftsmanship, a tradition of excellence. 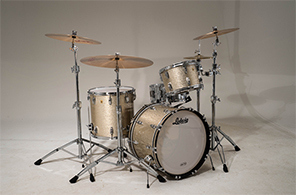 Here's a shot of an Aged Onyx kit in our Chicago Store. 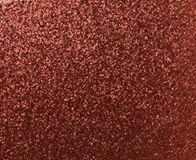 Here's another kit in vintage Burgundy Sparkle. We're an authorized Ludwig dealer bringing you the best deals online and in our Chicago music shop. 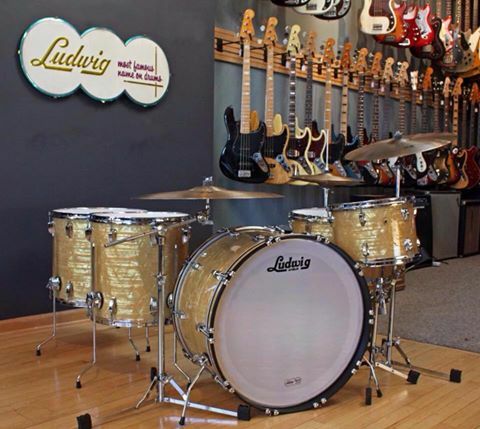 Call us for a great deal on your next Ludwig kit. Note: Vintage Onyx and Vintage Blue Oyster are also available.